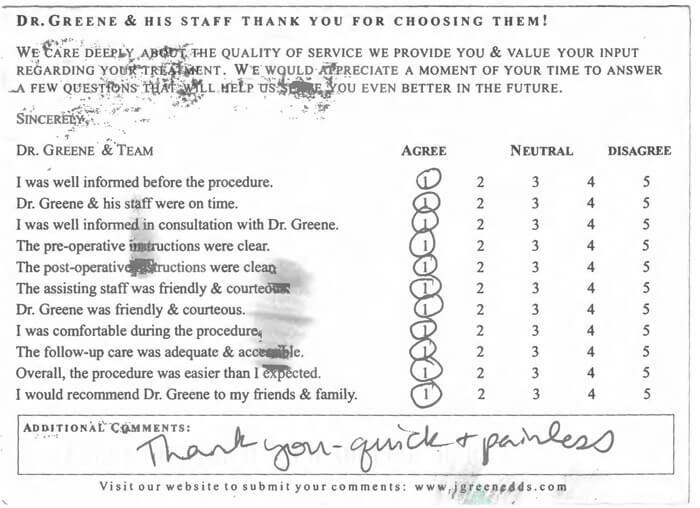 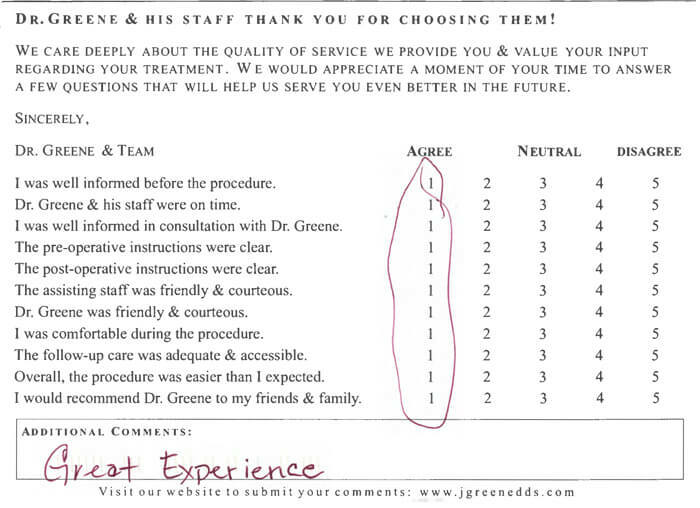 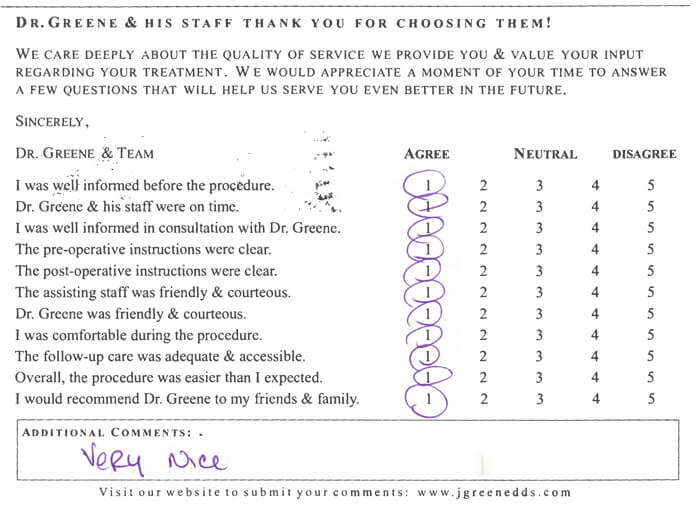 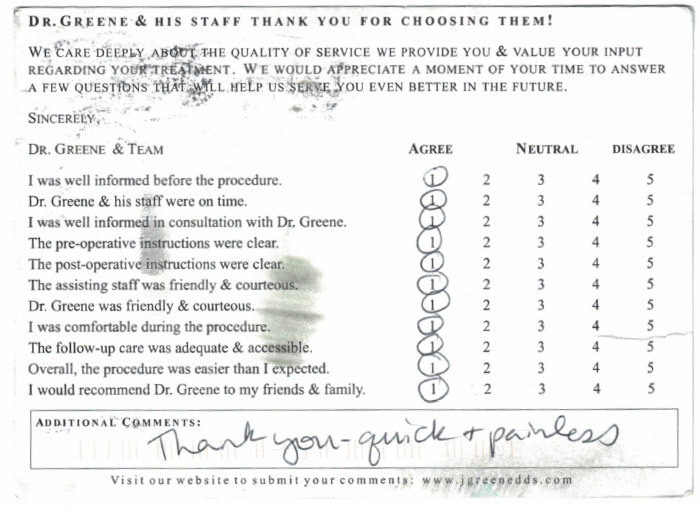 Online reviews are very important not only to Dr. Greene, but also to prospective patients. 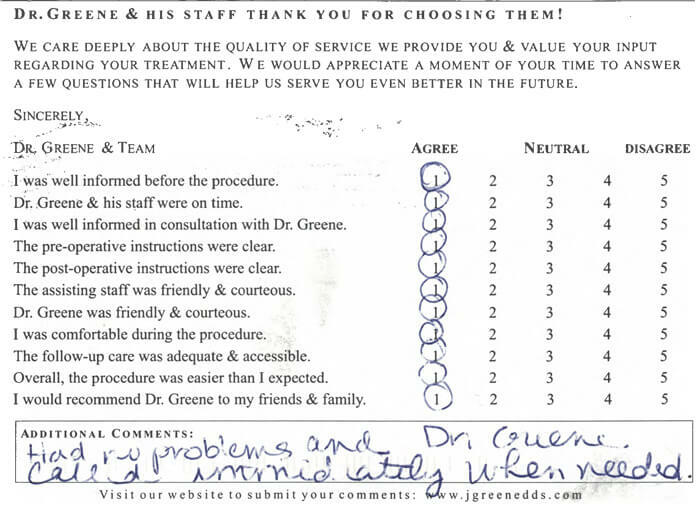 If you had a great experience under Dr. Greene's care, please consider sharing your sentiments on Google+. 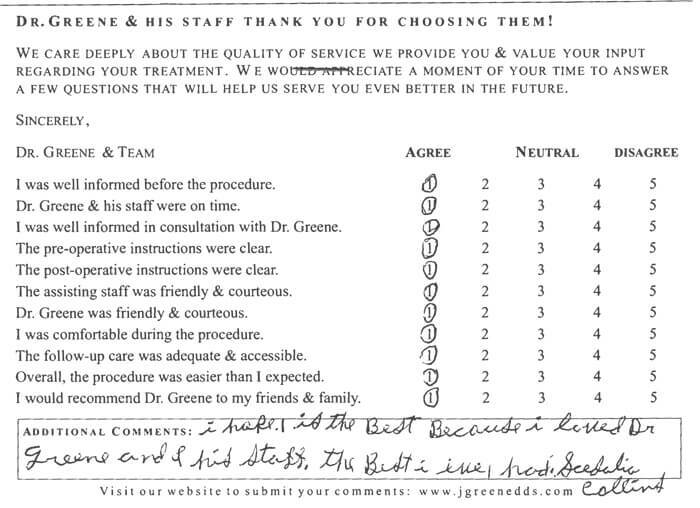 It will only take five minutes of your time, and we would greatly appreciate it.